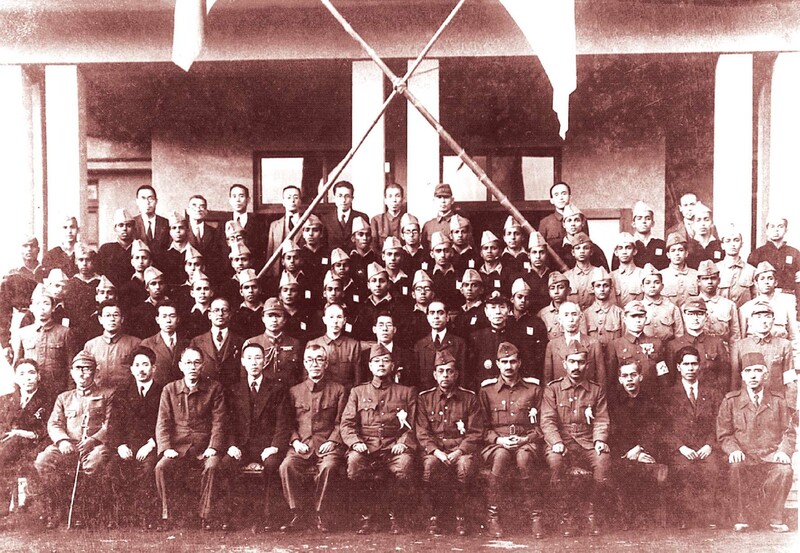 One day we heard the good news that Netaji was arriving in Tokyo and that he would be visiting us. Well before he arrived, we started to spruce up. The school was given a fresh coat of paint, our uniforms were checked and rechecked; rooms were turned inside out and scrubbed. The classrooms and the dining room took on a new look and all the staff went about their work nervously in case something went wrong. As Nawaz Sharif heads to Washington with his ISI approved new NSA, Naseer Khan Janjua, the outcome is already known. Obama has already given his preamble that Pakistan is an important player in Afghanistan. It is not material whether the Doctors Without Borders hospital in Kunduz was bombed accidentally and apologized for as collateral damage or bombed deliberately after the USSF ascertained that a Pakistani ISI operative was stationed in the hospital seized and styled into a Taliban operational headquarters. 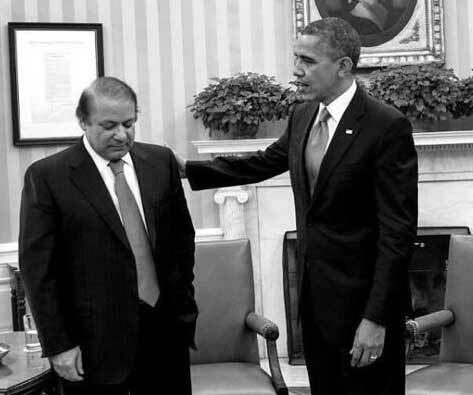 By virtue of a quirk of fate because of Putin’s decisive intervention and surgical strikes against the ISIS, Pakistan’s value to Obama appears to have gone up. It is but logical that if the stay of US-NATO troops in Afghanistan has been extended, the route of their supply will continue to be via the port of Karachi and all the way up through land route crisscrossing Pakistani territory. So the chances are that Pakistan will continue to be given a free hand in Afghanistan both by Obama and China even as latter is emphasizing the need to rebuild Afghanistan. From the beginning of the new century, the economic environment in India has rapidly improved despite the downturn of the last couple of years and our inability to live up to our potential. With an increasingly assertive and powerful China and a receding United States, there has been increasing pressure on India from the US, Japan and the other Asian nations to work in tandem with them to counter the former. However, a disjointed and poorly executed programme to enhance infrastructure along the Sino-Indian border has left India vulnerable with limited conventional ability to react against Chinese designs especially since infrastructure in Tibet has seen quantum improvement. While attempts are now underway to rectify the situation, it will take time for India to achieve conventional deterrence. Kashmiri Pandits in the Valley had completely and without any reservations, identified themselves with the aspirations of Indian masses during their long struggle for independence from the British yoke. They had done the same thing against the feudal set-up of the Maharaja. During the conference, Kaul had demanded that the people of the princely states should oppose the princely order and appealed for their unity for a sustained struggle against the British rule. Subsequently, after a decade, this demand became an official part of the ‘Charter of Demands’ of this conference held at Ludhiana, when the conference appealed for repudiation of the paramountcy and the end of the princely rule in the states. During the formative years of the conference, another Kashmiri Pandit, Pandit Dina Nath Kachroo, a close friend of Jawahar Lal Nehru, became the Secretary General of the Conference. It was the same Pandit Kachroo who was arrested along with Pandit Nehru during the Quit Kashmir Movement. As India grew and Pakistan went downhill, the war affected both sides, but in diametrically opposite ways. On the fiftieth anniversary of the 1965 War, it is necessary to analyse its implications, as it is widely perceived to have been a strategic stalemate. There is no doubt that the war did not result in decisive military victory, yet in the long term it had a profound impact and permanently changed the course of events in South Asia. The war was a defining moment for the two nations, as it not only heralded a change in leadership, but also created situations that led to the redrawing of maps. It is, however, ironical that the evolution of the two nations from this point onwards moved in diametrically opposite directions. As India grew in strength, Pakistan went downhill. It was a war both the countries could ill afford to lose. The Indian armed forces, smarting from the Chinese debacle just three years ago, had to redeem their honour and could ill afford to give any latitude to the enemy. On the other hand, the Pakistani armed forces were riding a high horse, having taken over the administration of the country. They felt that they had better arms, courtesy their dalliance with the pro-US defence pacts and believed that the Indian Army was demoralised after its humiliation in 1962. This led them to initiate the war. For long, the Pakistani media had propagated (sometimes correctly) that Pakistan had forged ahead of India in terms of economic as well as military power. The success in the Rann of Kutch had not only bolstered the morale of the troops, it had also raised the countrymen’s expectations from the armed forces. 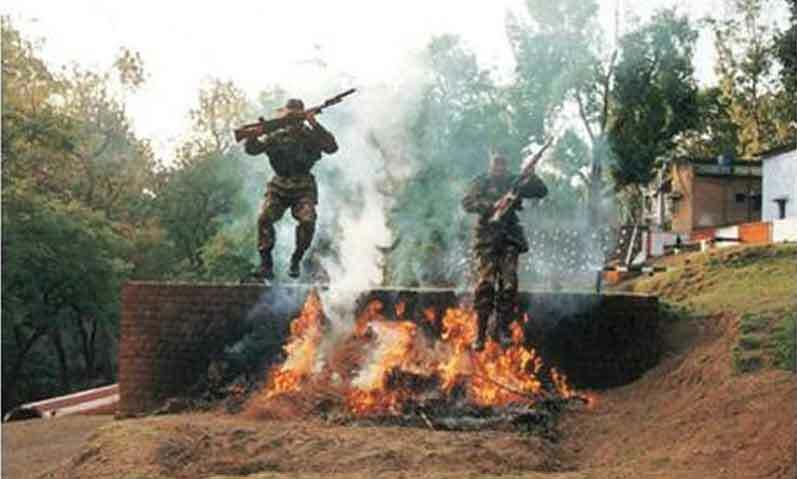 Consequently, when the Indian Army decided to cross the IBL the Pakistan Army retreated into a defensive mindset. Prime Minister Narendra Modi’s renewed commitment to the United Nations peacekeeping operation at the recently concluded leaders’ summit on peacekeeping does not come as a surprise. Given India’s peacekeeping track record since 1950, it is obvious that India will continue to support peacekeeping operations. In addition, India views its commitment to the UN Charter and the goal of maintaining international peace and security as a central guiding factor for this engagement. Thus, it continues to offer support to peacekeeping in spite of growing difficulties in doing so. Mr Modi’s six-point pledge, which includes providing additional troops, police units, critical enablers and technical personnel, along with training the peacekeepers, reiterates India’s faith in the philosophy and practice of peacekeeping. In single combat a Rafale can beat the Tejas, but a Tejas swarm can down a bunch of Rafales any day; meaning quantity will prevail when the qualitative difference is marginal. Does India’s nuclear doctrine need a revision? India’s first nuclear test in 1974 called smiling Buddha in Pokhran desert was, for tactical reasons, characterized as “Peaceful Nuclear Explosion”. The second series of five nuclear tests in 1998 (Pokhran II) was again accompanied by a statement from the then PM Vajpayee attesting to lack of aggressive intent. The 2003 Indian nuclear doctrine went a step forward and made a written unilateral concession about India’s adherence to “No First Use” Doctrine. Since then a lot of debate has gone into the rationale, the need and the necessity for India to revise her Nuclear Doctrine and posture. Some foreign policy mandarins have tried to argue that India does not need to make any changes in the 2003 version of the doctrine. Though the election manifesto of the BJP prior to May 2014 Lok Sabha election noted the need to take a relook at India’s nuclear doctrine, subsequent statements by the PM nipped it in the bud. While looking at the nuclear scenario, India has to take the contemporary threat perception and other geo-political factors into account while revising her strategic nuclear policy. It will be a good idea for India to periodically revise her nuclear doctrine every 10-15 years based on the geo-political situation. A lot has already changed since 2003. There is nothing sacrosanct about revising a document that was essentially tactical in nature. Newer nuclear threats have emerged from both the nuclear neighbors, China and Pakistan that mandate that India revise her nuclear doctrine and posture in order to avoid future nuclear blackmail. A recent video footage shown on television across the globe, has highlighted the atrocities committed by the brutal Pakistani forces on the residents of Pakistan-occupied-Kashmir. It reminded one of the gory tales of the atrocities committed in the erstwhile east Pakistan, now Bangladesh. 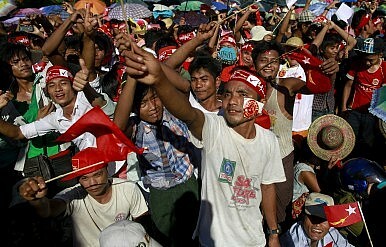 Global community is now evincing a keen interest in this area, its people and their plight. The fact is that the people of this region have been leading a life of subjugation ever since 1947, but received no media coverage that could highlight their miserable plight. The print media occasionally tried to portray their problems, but very little heed was paid by the global community. Even the citizens did not take much notice of the same, despite the fact that the residents of this area were citizens of the Dogra kingdom of Jammu & Kashmir that acceded to the Union of India in October 1947. 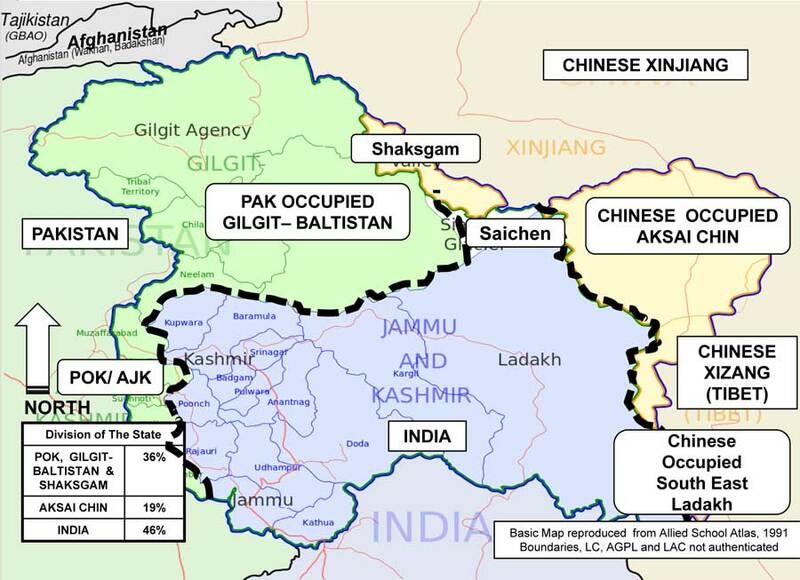 During partition, Gilgit and Baltistan were an integral part of the State of Jammu & Kashmir. 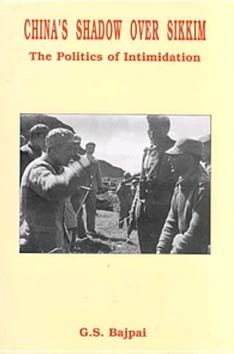 In a treacherous conspiracy, Major WA Brown, a British commander of the Gilgit Scouts, mutinied against the Maharaja of Kashmir and brought the area under illegal administrative control of Pakistan in November 1947, after the Maharaja signed the Instrument of Accession with India. By 2005, the negative impact of fossil fuel-based energy was crystal clear. Dark, ominous clouds hung over the world’s great metros, collecting the pollution from cars, buses, and motorcycles. Each year, fossil fuels produce 21.3 billion tons of carbon dioxide. Enough that the consistently declining proportions of greenery could not hope to absorb more than half, leaving a net increase of 10.65 billion tons of atmospheric carbon dioxide per year. Experts were fast proving the link between carbon dioxide and global warming. The Energy Information Administration estimated that in 2006 fossil fuels comprised 86% of the primary sources of energy (petroleum 36.8%, coal 26.6%, and natural gas 22.9%). Led by the United States and Western Europe, and closely followed by China, aggressive research in renewable energy was underway. Wind fields loomed over the German countryside. Nuclear power plants dotted the French landscape. Despite aggressive damming of rivers all over the world, hydropower was still not a fully harnessed source. Brazil had taken a leadership role in the development and use of biofuels. But for India, solar energy was one of the most promising. The guided missile destroyer INS Kochi that joined the Indian Navy in Mumbai on September 30 is a fearsome combatant. This 7400-tonne warship bristles with supersonic cruise missiles, two multi-role helicopters, long range anti-aircraft missiles, guns and torpedoes. This is the reason every Admiral would want to have several such powerful floating arsenals in his fleet. The Indian Navy sees itself fielding a force of 150 warships by 2027. A bulk of these warships will be frigates and destroyers like the INS Kochi capable of neutralising enemy aircrafts, warships, submarines and attacking targets on land and escorting merchant vessels transiting near enemy waters. However, the last major naval conflict was over three decades ago, in the Falklands. Peacetime mission for the Indian naval fleet includes overseas diplomatic flag-flying missions: in the past year, the Navy has sent its warships to 40 countries across the globe; has been patrolling the Indian coastline to prevent 26/11-type terror attacks, providing humanitarian assistance missions like the rescue of over 4,000 Indian nationals stranded in Yemen and, since 2008, the deployment of one warship in the Gulf of Aden to counter Somali pirates. There was nothing of major historical importance taking place along the Sikkim -Tibet border for the next fifty years or so. Meanwhile, India became independent on August 15, 1947. As an annual ritual just like in the past, this year too, during the United Nations General Assembly (UNGA) meet, Pakistan’s Prime Minister Mr Nawaz Sharif raised the Kashmir issue. Be it any forum they never miss out an opportunity to highlight their one point ‘K’ agenda. The reference to human rights violations in Kashmir comes out in the same breath. India has been for long ignoring Pakistan but this time around it was decided to show this neighbour a mirror. Kashmir seems to be an important antidote to the poison of sectarianism and secessionism spread in every nook and corner of this country. It probably was inevitable, as a matter of how Washington as a whole approaches such things these days, that President Obama would make his decision about keeping 5,500 troops in Afghanistan into 2017. There is too much of an expectation that when internal violence prevails in a country in which the United States has had as much past involvement as it has had in Afghanistan, the United States should have its military forces on the scene to try to do something about it, no matter how dim are the prospects for accomplishing much there. Things have not always been so. 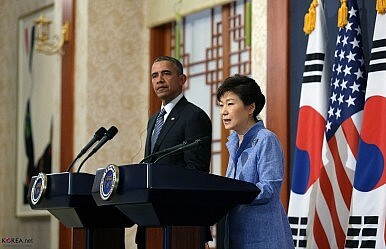 It is a departure for the United States to make a habit out of indefinitely stationing significant numbers of its military personnel amid other people's internal strife. This is not entirely a recent phenomenon; the United States did similar things, for example, in Nicaragua during the first third of the twentieth century and later on a much larger scale in Vietnam. But those instances are rightly regarded as failures, they did not have the makings of a habit, and they were not associated with the sort of political expectations about such things that are as persistent and widespread as those that prevail today. In 2009 and 2010, the war in Afghanistan was the top national security issue that every pundit, columnist, and think-tank analyst in Washington was talking about. At that time, there were roughly 100,000 U.S. troops patrolling some of the most dangerous villages and valleys in Helmand and Kandahar province. An average of 41 U.S. soldiers were being killed in Taliban ambushes, roadside bombings, suicide attacks, and small-arms fire every month — an incredibly difficult period when U.S. and coalition objectives in Afghanistan centered on the tough and ambitious work of clearing insurgent fighters from key strongholds and ensuring that the Afghan national security forces were strong and capable enough to secure those areas once U.S. forces left. Five years later, Afghanistan is an afterthought to many Americans. The 100,000 American soldiers who were once doing the grunt-work of clearing neighborhoods from Taliban elements are no longer there. Although 9,800 Americans remain on the ground, the U.S. and ISAF mission for 2015 is markedly different: training, advising, and equipping the Afghan security forces; continuing to strike Al-Qaeda targets in counterterrorism raids; and providing Afghan units with air power when they are in danger of being overrun. U.S. casualties are at the lowest point since the war in Afghanistan began fourteen years ago. Prime Minister Narendra Modi’s sharp initial focus on improving relations with countries in the neighbourhood evoked much optimism. Inviting the Prime Ministers of our neighbouring countries, including Pakistan, to his swearing-in ceremony was rightly billed as a great move. Mr. Modi’s visits to Bangladesh, Nepal, Bhutan and Sri Lanka were seen as runaway successes because the Prime Minister effectively stressed the region’s shared destiny and promised that the countries would move forward together. Mines are the ninjas of warfare: silent, deadly and a bit unsavory. Sneaky weapons that are extremely effective not just for the damage they cause, but also for the fear and uncertainty they sow. Naval mines are especially potent. American air-dropped mines in Japanese waters in 1945--chillingly but accurately code-named Operation Starvation--sank more ships than U.S. submarines in the final months of the war. The 1972 mining of Haiphong harbor helped drive North Vietnam to the peace table, while Saddam Hussein's underwater booby traps threatened U.S. naval supremacy in Desert Storm. “In February 1991 the Navy lost command of the sea—the North Arabian Gulf—to more than a thousand mines that had been sown by Iraqi forces. Mines severely damaged two Navy warships, and commanders aborted an amphibious assault for fear of even more casualties,”says a U.S. Navy mine warfare history. But when a high-altitude B-52Hbomber dropped a Quickstrike naval mine on September 23, 2014, something extraordinary happened: instead of falling into the sea below, the mine glided to a splashdown 40 nautical miles away. The reason? The mine had wings. President Ronald Reagan, the only U.S. president to reject the 1982 Law of the Sea Convention (UNCLOS), still has the most enduring U.S. oceans law legacy. A glance back at Reagan’s approach to oceans governance provides some insight into how he might act if he were confronted with China’s serial violations of the law of the sea. Without even thinking about the nine-dashed line claim, it is evident that China is a recidivist offender of UNCLOS. China has illegal straight baselines along its coast in violation of article 7 of UNCLOS, illegal claims to a territorial sea surrounding mid-ocean low-tide elevations in violation of article 13, and an illegal system of archipelagic baselines around the Paracel Islands in violation of article 47. Parenthetically, it is worth recalling that the Paracel Islands were seized from Vietnam by military invasion in 1974 – such action being in violation of article 2(4) the Charter of the United Nations. China also purports to impose unlawful conditions on innocent passage in its territorial sea in violation of articles 19 and 21 of UNCLOS, and Beijing illegally denies high seas freedoms and other internationally lawful uses of the sea associated with the operation of ships and aircraft in its exclusive economic zone (EEZ) in violation of article 87, while at the same time depriving its neighbors of their exclusive sovereign rights and jurisdiction in their own EEZ in violation of article 56. China also violates the sovereign immunity of foreign warships and military aircraft under articles 32 and 95, and appears to claim a territorial sea around its artificial islands, in contravention of article 60. 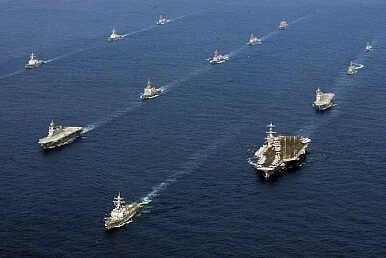 While China’s unilateral declaration of an air defense identification zone (ADIZ) over disputed waters in the East China Sea (ECS) caught many by surprise, today’s debate circles around the likelihood that Beijing might take the same action over the South China Sea (SCS). In its pursuit of maritime primacy in Northeast Asia, China has strayed far from the international norms that dictate the implementation and use of an ADIZ. An ADIZ is an airspace beyond a country’s sovereign territory within which the state requires the identification, location, and air traffic control of aircraft in the interests of national security. The mechanism is a legacy of the Cold War, having first been declared by the U.S. in 1950. 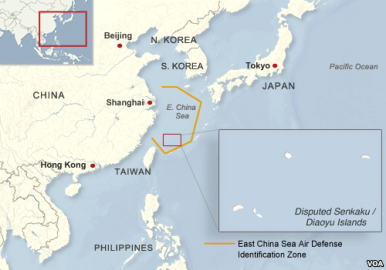 More than 20 states now administer their own ADIZ. 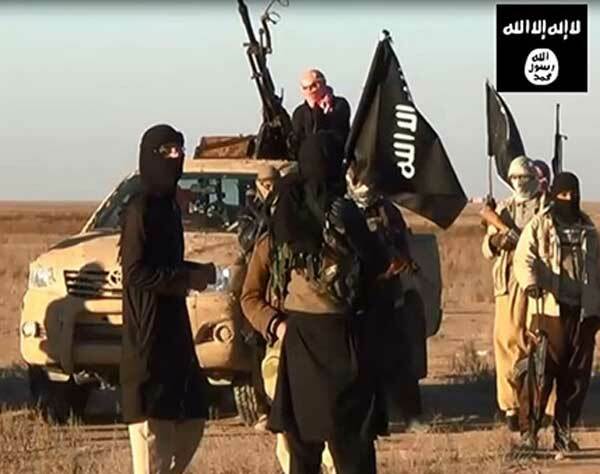 A matter of international deliberation (or rather, contention), the Islamic State of Iraq and Syria (ISIS) has managed to capture the imagination of the entire globe, with the many speeches at the United Nations’ General Assembly (UNGA) session and a dedicated sideline summit bearing testimony to it. From the corridors of Kremlin to the alleys of the Senate, it can be said with staunch conviction that no country in the world today is unaware of the grotesque phenomenon that the ISIS is. Its graphic brutality, pillaging of historic towns, running of slave camps are some of the many blows that it has dealt to the moral fabric of humanity but which have hardly had any impact on its growing expanse. Rather than chipping at its might, these very acts and the feeling of power and virulence that these come to provide have managed to frisk away a lot of disaffected youth from across the globe onto its side. Added to it are the promises of a lavish lifestyle this ‘regime’ is coming to offer to those who offer their allegiance to it. Looking out across the beautiful Mediterranean in southwestern Turkey on Saturday morning at the annual Bodrum Roundtable, it would have been easy to forget about the turmoil raging around me. Countless Syrian refugees died trying to cross that very same bay to reach the Greek island of Kos, the closest entry point to the European Union. Just a few months ago, a young Syrian boy tragically washed up on these shores, and with a single photo, catapulted the dire consequences of the Syrian conflict onto screens around the world. Little did I know that this same morning would be marked by the deadliest terrorist attack in Turkey’s history. As I sat among international affairs experts listening to former President Abdullah Gul deliver a rare keynote address, at a little past 10am local time, phone calls began to flood the room. A CNN Turk producer and Kurdish People’s Party (HDP) parliamentarian abruptly left. A quick check of my twitter feed reported a terrorist attack at a pro-Kurdish peace rally in the heart of Turkey’s capital Ankara, a place I had once called home. President Obama is about to add another dismal chapter to his foreign policy record. He may believe that his administration's “no war, no peace” response to Russia’s intervention in Syria will avoid subjecting the United States—or him—to the potential costs of making a choice between two unattractive alternatives. Unfortunately, this posture may well be the most dangerous approach of all for it conveys both weakness to U.S. allies and inflexibility to Moscow, thereby encouraging further assertiveness at America’s expense while allowing Syria’s civil war to rage and ISIL to gain ground. Before Russia’s intervention in Syria, four years of civil war there had firmly established America’s conventional wisdom: the United States has no good options, a view this president clearly shares. Now, after several days of Russian airstrikes and a few cruise missile attacks, a new conventional wisdom is emerging: standing up to Moscow should serve as Washington’s defining objective in Syria. But this is in essence a sharply negative foreign policy, one that rests, not on forwarding American interests, but on seeking to stymie the Kremlin. Has the administration or outside advocates thought carefully about how the United States might advance its new aims in Syria--or what unintended consequences might ensue? We must defend minorities, and also the minorities within minorities. LONDON — Fifty-one percent of Americans say they wouldn’t vote for a Muslim President. To be clear, that’s 51 percent too many. My fellow Muslims are naturally disturbed by the implications of this sentiment for everyday life, we rightly protest anti-Muslim remarks such as those made by presidential candidate Ben Carson, and we understandably expect solidarity from other communities in challenging such bigotry. But as 53 percent of Americans say that they wouldn’t vote for an atheist President, it must be accepted that no communities—not even my fellow Muslims— are as unpopular in America today as atheists. Now imagine if you can, that you are a brown, ex-Muslim atheist with a Muslim name. This is perhaps the most persecuted minority-within-a-minority in the world today. 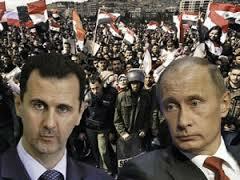 Syria intervention: Putin’s gambit or Obama’s bait? If one were to look at US President Barack Obama’s Middle East strategy (despite many analysts contending there is none) it has been to put the Middle East into a ‘free fall’, letting the ‘geopolitical forces in the region find their equilibrium’. This strategy has seen a series of moves (and half-moves) being initiated; the latest one being letting Turkey have its way with the Kurds and in the process have it move away from Russia and behaving more as a member of the NATO (North Atlantic Treaty Organisation), that it is; all supposedly to get Turkey to join the fight against the Islamic State. Turkey is now threatening to scuttle some key energy deals with Russia which had been secured with a promise of billions of dollars in Russian financing for a nuclear plant in Turkey. Leaving nomination politics aside, if the question is whether the new George W. Bush administration could have done more to prevent the 9/11 attacks, the answer is clearly yes. That judgment is based on my experience as co-chair, with the late Senator Warren Rudman, of the U.S. Commission on National Security/21st Century. Our Commission, empaneled in October 1998, was given a mandate to report to the next President on new realities, both threats and opportunities, affecting U.S. national security in the first quarter of the 21st century. It was the most comprehensive review of our national security since the passage of the National Security Act of 1947. We concluded as early as 1999, in an interim report, that “America will be attacked by terrorists using weapons of mass destruction, and Americans will die, possibly in large numbers, on American soil.” That conclusion was based on briefings by terrorism experts including Richard Clarke, then still in the White House as an advisor. Those who oppose the gift or sale of defensive weapons to Ukraine have long rested their argument on a simple supposition: that any level of help the West might muster will inevitably be exceeded by Russian military escalation. After all, they argue, Ukraine is more important to Russia than it is to the United States. Lost in this argument, though, is the clear fact that Ukraine is more important to Ukrainians than it is to Russians – including many Ukrainians who are Russian speakers and/or ethnically Russian. This inconvenient truth is why Russian President Vladimir Putin has been forced to lie to his own people about the nature of his government’s war against Ukraine, and the extent of Russian casualties there. It is why Ukrainian demonstrators did not leave Kyiv’s Maidan Square in February 2014, even after sniper fire killed dozens of their own (an event compellingly documented in the recent NetFlix documentary “Winter on Fire”). It is why untrained and woefully equipped Ukrainians rushed to stop the Russian-led and –sponsored takeover of parts of Ukraine’s Eastern provinces of Luhansk and Donetsk. It is why an increasingly capable and growing Ukrainian military has more than 200,000 active duty soldiers facing Moscow's forces, and the reason volunteer organizations throughout Ukraine are providing food clothing and medical help to these troops. Finally, it is why, at least for the moment, Moscow has determined that the cost of further aggression in Ukraine is too high, and is abiding by a tenuous ceasefire. 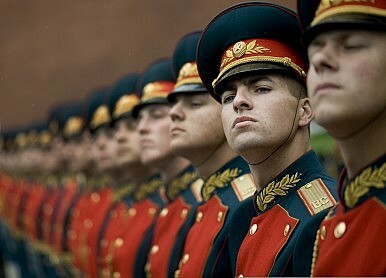 It’s true that it has been a quarter-century since Moscow has been so interventionist outside its borders. The last time it made these kinds of moves, in the late 1970s and 1980s, it invaded Afghanistan and interfered in several other countries as well. Back then, commentators similarly hailed those actions as signs that Moscow was winning the Cold War. How did that work out for the Soviet Union? It could be the establishment of a no-fly zone in Syria, or setting up a safe area for Syrians fleeing, or putting troops back in Iraq after Islamic State militants overran Mosul — always there was concern over a slippery slope. President Obama, under his Doctrine of Restraint described in my last column, has been the king of the slippery-slope school of foreign policy. His decision to keep thousands of troops in Afghanistan, rather than withdraw them as previously planned, appears to reflect an acknowledgement that American retrenchment can be perilous. The thing about the president’s what-next refrain was that it inevitably led to a range of dire scenarios. Suppose an American forward air controller in Iraq gets captured by Islamic State and burned alive? Suppose you’ve cratered the airfields in Syria and President Bashar al-Assad, rather than suing for peace, steps up his brutal ground campaign and resists? Well, take out his air defense sites and fast-forward arming the opposition. But then you get Russians and Iranians and Hezbollah pouring in to help Assad, and before you know it you’ve got 150,000 American troops on the ground invested in another intractable war. A storm of anger rising from developing countries gathered strength at the Climate Change talks at Bonn on the weekend, ahead of the formal launch of the negotiations on Monday. One hundred and thirty-four developing countries under the G77+China umbrella group collectively rejected the controversial draft for the Paris agreement in its current shape. Earlier in the day African countries had come together with India, China and other Like Minded Developing Countries (LMDC) to demanded that the two co-chairs leading the negotiations should first bring balance to the draft text of the agreement by letting developing countries re-insert their views. October 06, 2015 "Information Clearing House" - I couldn't help but notice that over the past few weeks the Empire has become extremely silly—so silly that I believe it deserves the title of the World's Silliest Empire. One could claim that it has been silly before, but recent developments seem to signal a quantum leap in its silliness level. Will the Next House Speaker Crack Down on the NSA? Fights over economic policy and House procedure have been at the center of the revolt by the House Freedom Caucus (HFC) against Speaker John Boehner. But another key issue is lurking in the background—a desire by many HFC and other GOP members to truly curb warrantless mass surveillance by the National Security Agency. One of the ring leaders of Boehner’s ouster, Thomas Massie of Kentucky, has been a vocal critic of existing NSA surveillance programs and has been successful two years in a row in securing House passage of surveillance-related warrantless search bans as appropriations riders. But the 2014 amendment was stripped out of the 2014 omnibus appropriations bill in a backdoor maneuver, orchestrated by Boehner and others in the House leadership who have consistently blocked efforts to rollback the programs exposed by Edward Snowden over two years ago. The same amendment passed again this year, with support from groups across the political spectrum. It might well have met the same fate again this year if not for the fall of Boehner and McCarthy.